Do you ever find a blog post, article, image or idea on Twitter that you want to come back to later? I often read posts, quotes, or view images that I want to remember or read more closely when I have time. I used to just retweet these, but it was never easy to find what I was looking for when I needed it. So many articles and posts lost to me! Some time ago, I saw Rebekah O’Dell retweet using the hashtag #RebekahsTwitterNotebook. I sent Rebekah a message asking her about the hashtag and she explained she created it to keep the tweets she wants to save- like a virtual notebook! Brilliant! Recently I messaged Rebekah again to ask her if she learned the idea from someone else. She said she first saw Jay Nickerson use #nowherenearmynotebook as a hashtag to save his tweets. If you are like me and frequently read articles and posts that resonate, challenge you or speak to you in some way, consider creating a hashtag for yourself! When you want to find your tweet again, just search for your hashtag in the search bar and be sure to click “Latest” to see all your tweets. A digital notebook is an easy way to save the bits of inspiration you find each day. 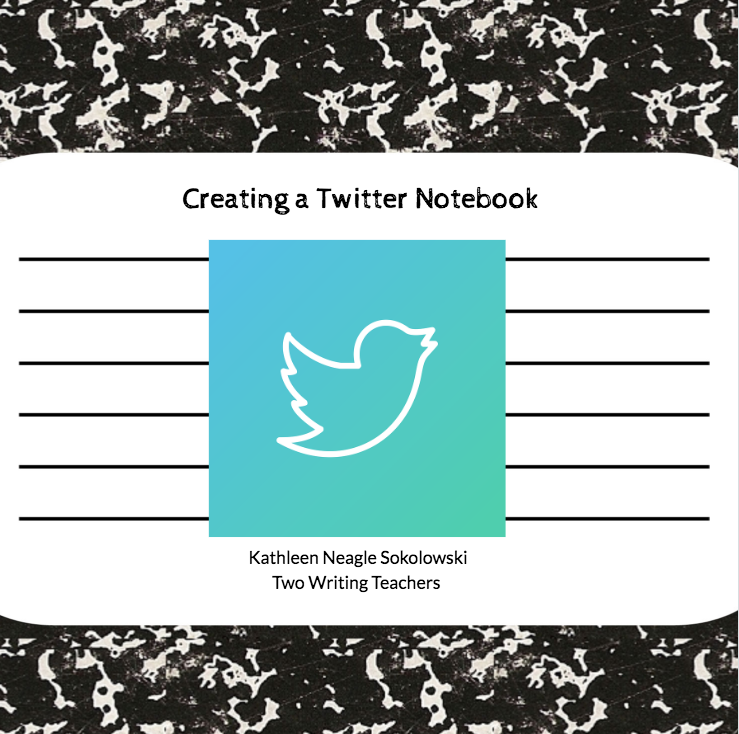 I thought it might be fun to see what other educators are saving in their digital notebooks too, so I created a Padlet where we can share our hashtags. Please add yours if you decide to keep your own Twitter digital notebook! Yes, I also saw her hashtag and asked about it. Mine is #eckfile and it’s a great way to curate! Definitely going to try this- thanks for always inspiring! Thanks Kathleen. I’m always searching for things I want to revisit or share. Just today I spent way too much time hunting for something I’d seen on Twitter yesterday. Thanks for this valuable tip, Kathleen! Love this! I am always liking and retweeting things I want to go back to, but them I have to hunt through a million things to find them again. Just tried it and it works! Thanks for the useful tip! Thank you so much for sharing this brilliant idea!! Simple…and just what I was wanting! Love it!!!! I definitely want to be included in the padlet!!!!! That’s a useful tip! Thank you. Thanks for this idea. A great way to blend our habits of scrolling through social media connected to the desire to write. Have you tried IFTTT, https://ifttt.com/, to use in conjunction with the hashtag? This is brilliant! I usually open the article, email it to myself, and search my emails for the article. That is too many steps! This is perfect! Thanks!